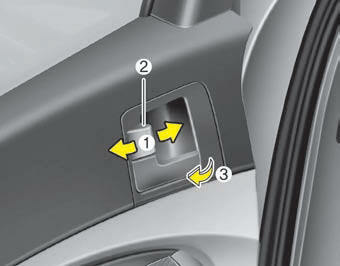 To lock a door, push the door lock button (1) to the “Lock” position. If the door is locked properly, the red mark (2) on the door lock button will not show. If the inner door handle of the front door is pulled when the door lock button is in the lock position, the button will unlock and the door will open.